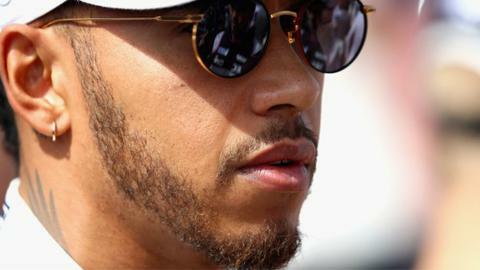 Britain’s Lewis Hamilton says he is confident he can beat Sebastian Vettel to the world title this year despite defeat at the Australian Grand Prix. Hamilton finished second to the German in the season opener in Melbourne after losing the lead following pressure from the Ferrari driver’s superior pace. Hamilton said: “It is going to be a close race. I truly believe we can beat them. It’s great to see Ferrari there. Hamilton led from pole position but struggled for pace in the opening laps and after an early pit stop was held up by Red Bull’s Max Verstappen, allowing Vettel to get ahead. Hamilton said: “I wouldn’t say I’m happy. But all things in perspective. To see where we have come from, with massive rule changes and to come here and be battling so close for a win and missing out marginally, there are a lot of things to be proud of. Vettel said of his title chances: “There is a long, long way ahead. We have a lot to prove still but for now we are just happy. Hamilton said he was looking forward to a close battle with Vettel throughout the year. Lewis Hamilton and Sebastian Vettel – New rivals? “This year we have the best drivers at the front,” said Hamilton. “Of course it would be great to have Fernando [Alonso of McLaren] up there but it doesn’t look like it is going to happen any time soon. Hamilton defended Mercedes’ decision to bring him in for a pit stop earlier than Vettel. “My strategy was to stop on lap 19 and I think I stopped on lap 18. I had nothing left in my tyres.